"This well-researched book belongs in the library of anyone who uses affirmative prayer as the basis of their prayer life; it will take your prayer life to the next level." �August Gold, author of The Prayer Chest, Prayer Partners, and the children's book series, Where Does God Live? 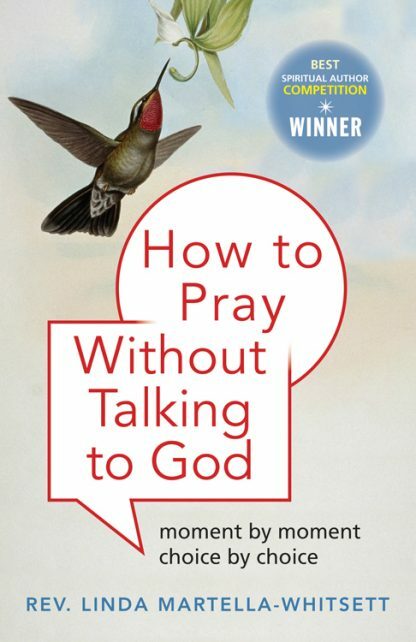 How To Pray Without Talking To God is filled with the author�s stories of her own evolving understanding of God. Each chapter includes a section called �Talk to Yourself� that poses questions for readers to write about or share in a study circle. Winner of 2011 Best Spiritual Author competition for her first book, How to Pray Without Talking to God, Linda Martella-Whitsett is an inspiring, respected Unity minister and spiritual teacher. Linda is the senior minister at Unity Church of San Antonio and a mentor for emerging leaders in new thought.